Window seat designs vary in styles and sizes, and window seat decorating ideas can be very different, luxurious or simple and practical. Traditional or contemporary window seat designs add more comfort and functionality to interior decor and charm to large or small window designs, creating unique home interiors that adults and kids enjoy. 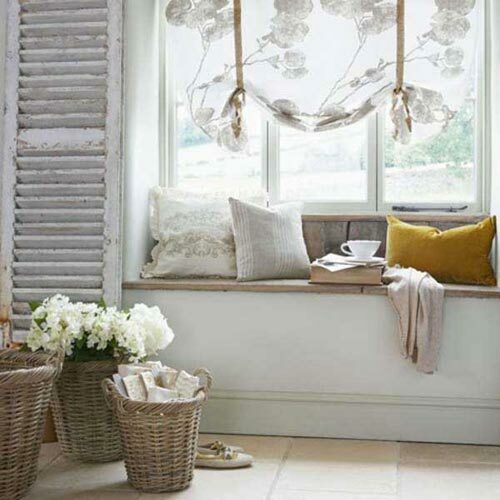 A window seat is a great storage furniture item. Benches with storage boxes, baskets, chests and built-in window seat with drawers are excellent designd that add valuable space for storing books, toys and other items, especially useful in small homes. 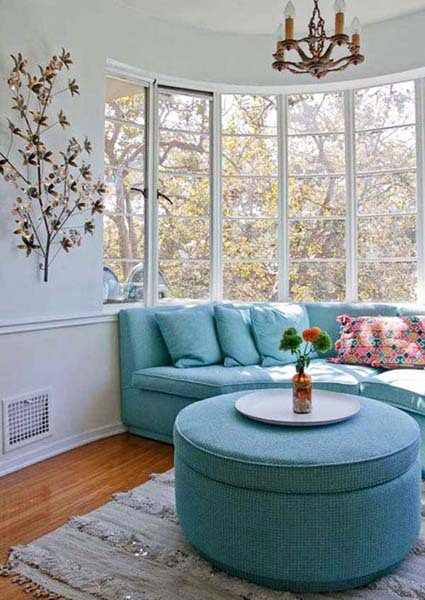 A window seat cushion, blinds or window curtains and decorative pillows in the color scheme that supports your interior decorating color palette create attractive and cozy window design for reading, needle crafts, listening music and just relaxing, while admiring a spectacular view. Window seat designs are associated with relaxing and cozy interior decorating. 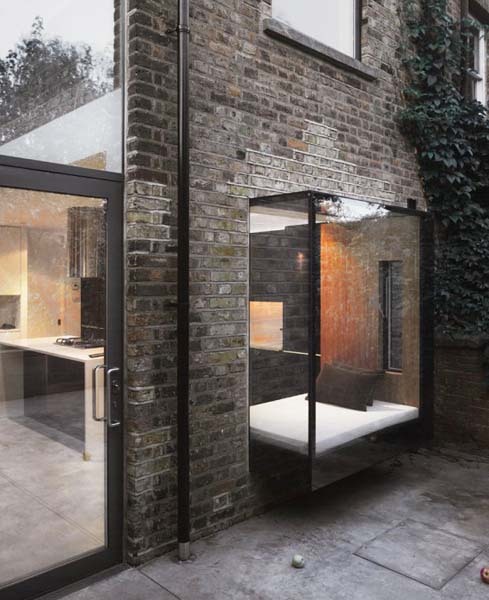 They create small private spaces that people like. The key elements of creating a modern and comfortable window seat design is the amount of soft pillows, comfortable seat cushions, the width of window seat, the type of window curtains or blinds and the softness of decorative fabrics used for window seat decorating. Benches and chests decorated with gorgeous quilts or knitted pillows create cozy and beautiful window seat designs that make the entire interior decorating look soft and warm, modern and friendly. Window seats look gorgeous in any room and add beautiful decorative accents to staircase and hallways, adding more cozy small spaces for rest and creating more comfortable house.